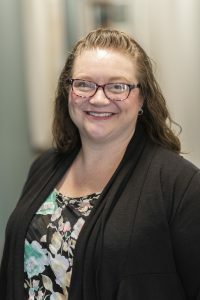 Marybeth has worked in a variety of capacities in the behavioral health field since 1996, treating children, adolescents and adults with mental health and substance use disorders. She has a master’s degree in counseling from Marshall University and is a Licensed Professional Counselor and an Approved Licensed Professional Supervisor in West Virginia. Marybeth is passionate about working with patients on the road to recovery in order to help build a stronger, healthier community. As a therapist at PROACT, she provides group and individual counseling, intake and triage services. She is a past Director of Outpatient Addiction Recovery Services and Adult Outpatient Supervisor with Prestera Center and Supervisor/Social Worker with Children’s Home Society’s Huntington Child Shelter.